Choose bright fresh looking herbs. Dark spots and shrivelled leaves mean they’re already past it. Wash herbs, and then dry them thoroughly in a salad spinner as you would lettuce. Dry herbs last longer. Keep herbs in the salad compartment, well away from cold spots at the back of the fridge. Mix Flora Spread with chopped herbs. Roll into a sausage shape in cling film, refrigerate, and then cut off slices to serve on steaks or vegetables. Use leftovers to make ‘salsa verde’. Blended with olive oil, garlic, maybe some capers or anchovies, this is a classic sauce for fish or meat. Use herb stalks in cooking water for vegetables or in soups. 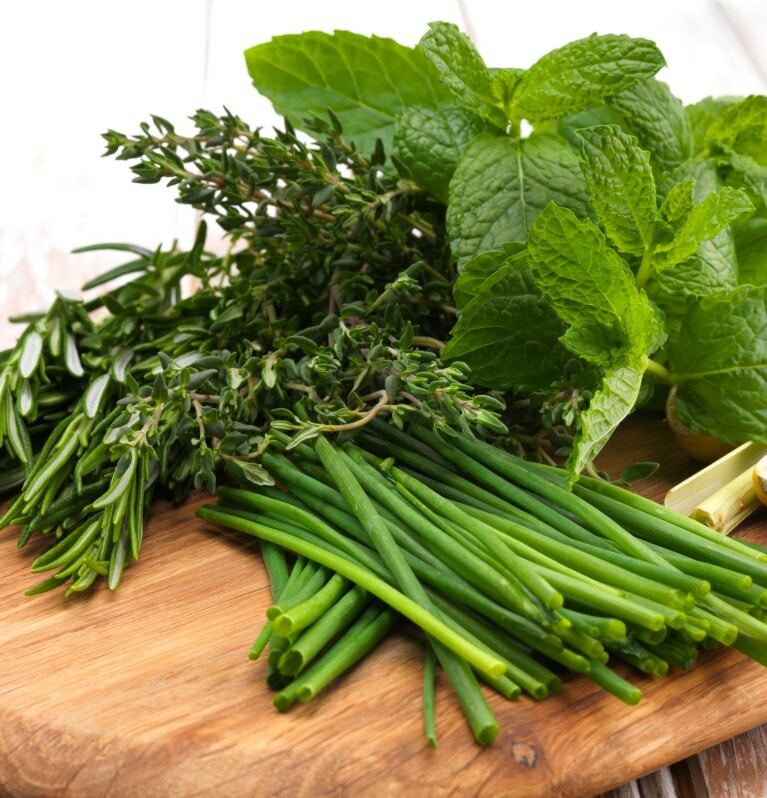 The temperature in the fridge is too low for soft herbs with high water content (e.g. basil). Store them at room temperature. Hang fresh thyme or rosemary in a dry place to use at a later date. The flavour of it when it’s dried is more intense, so use a little less.